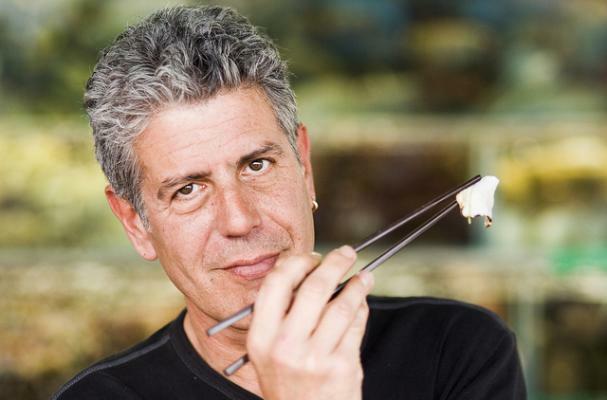 This slideshow of Anthony Bourdain feuds focuses on some of the sharp-tongued "No Reservations" host's most famous adversaries. From Paula Deen to Rachael Ray, no chef or food personality seems to be safe from Bourdain's sarcastic humor and quick wit. Click through the pages below to see them all. You saw the date on that piece about Alice Waters being Ruth Bourdain, right? Gah! Wishful thinking. Thanks, Dianne and Lauren! The Alice Waters/Ruth Bourdain admission was an April Fools joke. Perry, that's genius. I think you've hit the nail on the head.